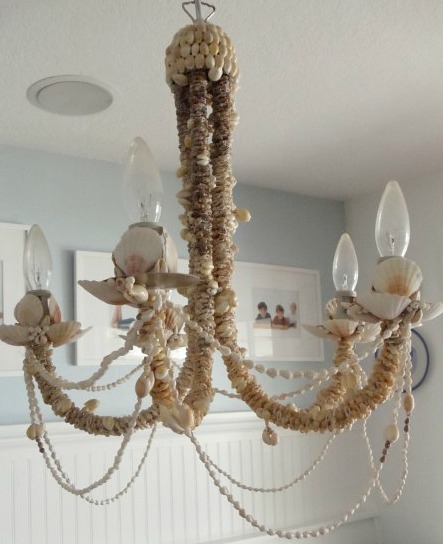 Use your collected shells to create a beautiful shell chandelier. A completely encrusted Oyster Shell Chandelier. The candle sleeves are covered with crushed shell dust, and after all the oysters were glued on, glue was brushed on the exposed surface areas of the fixture and dusted with crushed oyster shells as well. For this DIY Oyster Shell Chandelier shells were linked together and then connected to the fixture using additional wire. It is easiest to do this while the chandelier is already hanging, using a ladder. Instead of oysters, you can use any type of shells. Also, be aware that the shells are going to add significant weight to the fixture. Learn how to Drill Holes in Shells! 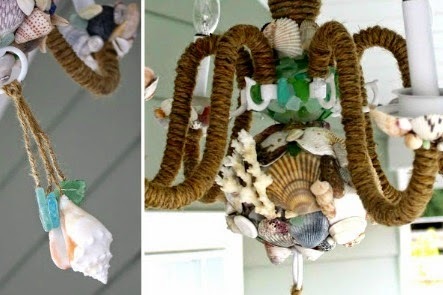 Shell chandelier featured on DIY Beach Chandeliers where you can get inspired by all kinds of ideas, including driftwood, seaglass, rope, even a fish net chandelier idea. Another Oyster Shell Chandelier made from a vintage metal lamp shade frame. Oysters shells were drilled, and strung on the frame, using craft wire. 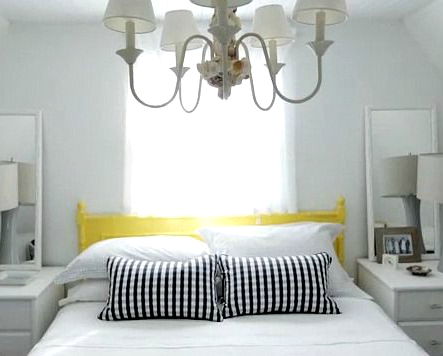 Shell chandelier in a Prince Edward Island Cottage. 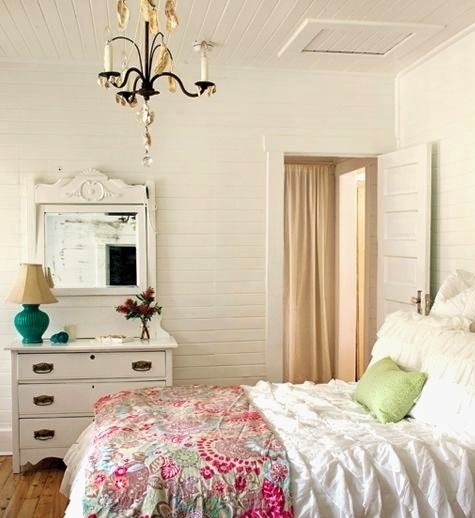 An old chandelier was spray painted white, then embellished with shells. 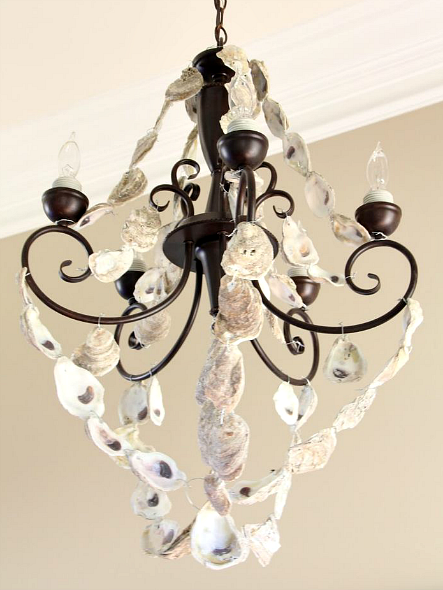 This stunning DIY shell chandelier looks like an elaborate project. Featured here. 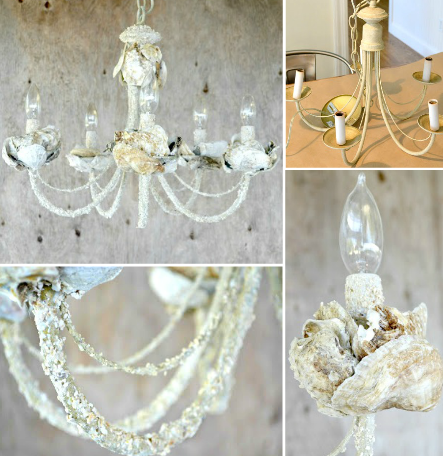 And a Shell Chandelier Makeover that includes a rope wrap. 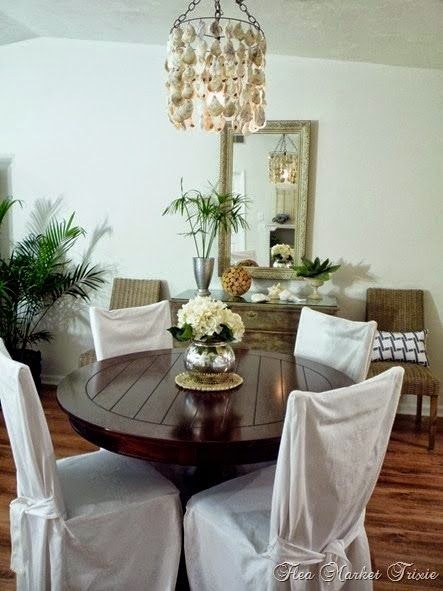 You might also enjoy this DIY Faux Capiz Shell Chandelier .